Wondering what to do with your little bunnies this Easter? Bring them to Compton Acres to help the Easter Bunny find out who stole his Easter eggs! The thieving bunny has left clues across the 10 acres of beautiful gardens and the Easter Bunny needs your help to find these clues. Your little visitors can ‘hop’ along the trail as the clues for the naughty bunny take them from one gorgeous garden to another. When they’ve found all the clues and completed the challenge, they can return to the ticket desk to collect their surprise reward. There’s something for the big visitors, too. After you finish your hunt, you can take a trip to our delightful cafe where you can relax with a drink and one of our delicious home-made cakes. 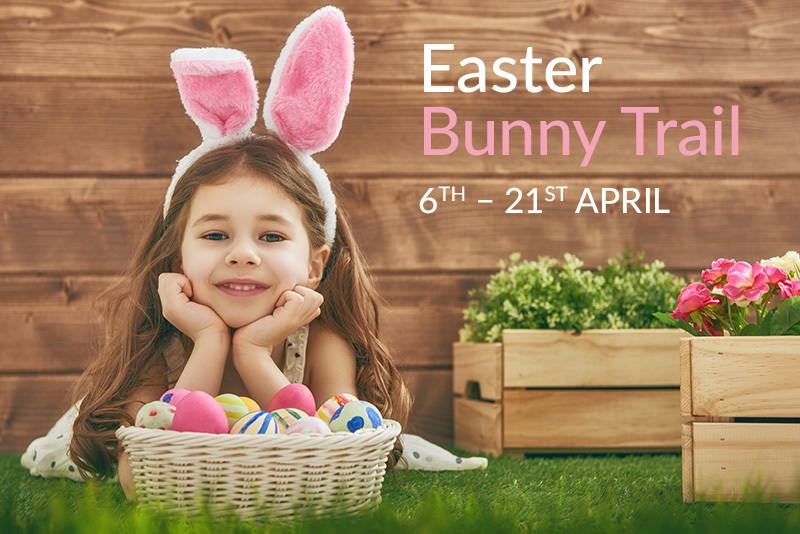 The Easter Bunny Trail is a great way for the whole family – including the dog – to experience Compton Acres in all its spring-time glory. The Easter Bunny Trail takes place from Saturday 6th April to Sunday 21st April. The challenge is free of charge but normal entry to the gardens applies.